Guyanese by birth and Haitian through marriage makes for an interesting mix of cultural diversity. 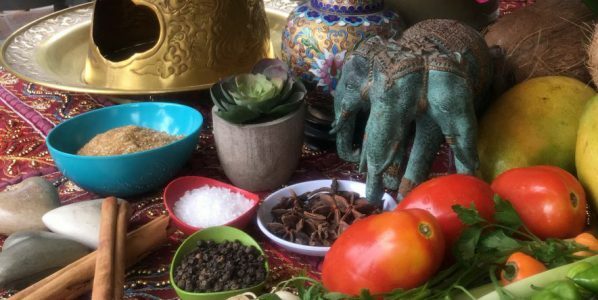 My multi-ethnic roots have allowed me to appreciate and incorporate flavors and techniques in my kitchen for my family and friends to enjoy over the last 27 years. I am a proud mixture of Chinese, Indian, Portuguese​ and African-Guyanese ancestry. I was raised among great home cooks who all valued the pleasure of nurturing a family and creating memories in the kitchen and around the dining table. When I married my husband and we moved to Haiti, I began to experience new flavors and techniques in cooking. I love to use local ingredients and infuse them with my culinary insight to make my own recipes. Food is life, food is love, food is comfort. I am not professionally trained in culinary arts but I consider myself a home cook with great experience.My food has strong traces of my Asian influences and is a fusion of Caribbean flavors and Haitian spices.